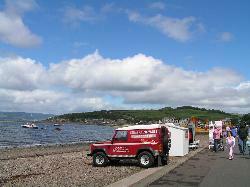 CUMBRAE VOYAGES is based in Largs, Ayrshire on the West Coast of Scotland. 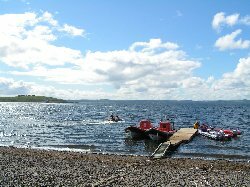 We have been running since Jan 2004 and are involved in a variety of work such as Wildlife and Adventure Boat trips, Corporate Events, RIB Charter, Sailing events & regattas, Yacht management, Stag Days / Hen Days and some commercial and marine security work. We have also been featured on a number of different television programs and radio show. If there is anything you require maritime based then please get in touch and we will do our best to arrange it for you.